Spreading holiday cheer to those who perform important services for us all year long is what Christmas is all about. Giving a gift to your child’s teacher or day care provider may be obvious, but there are plenty of other people, including the mail carrier, school bus driver, newspaper delivery guy, doorman and garbage collector who shouldn’t be forgotten, and these thank you ideas are sure to please. Everyone appreciates a little recognition or extra tip around Christmas time. 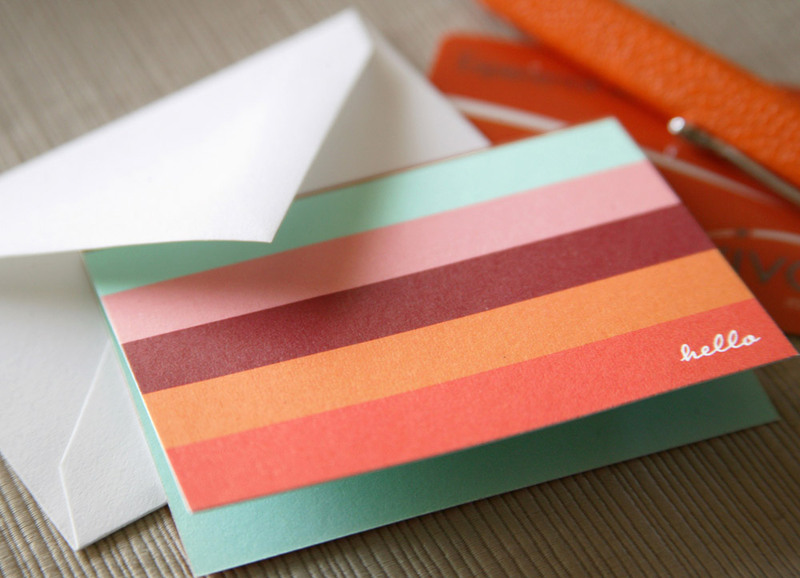 It’s a simple gesture, but one that means a lot, to tuck a little cash inside a mini note card or holiday thank you card. In lieu of cash, enclose a gift card to a local store, restaurant or coffee shop. A teacher might appreciate a gift of personalized stationery, supplies for the classroom or a gift card to a book store. Thank you ideas don’t have to be extravagant—it really is the thought that counts—but your thoughtfulness creates goodwill that lasts far into the new year. Brighten someone’s day with a little green, and see if that warm feeling doesn’t brighten your own holidays. Visit our Gift Guide to start shopping now, or keep reading our blog for more gift ideas!